How to train Boerboel mastiff? It is a large, powerful, muscular dog. 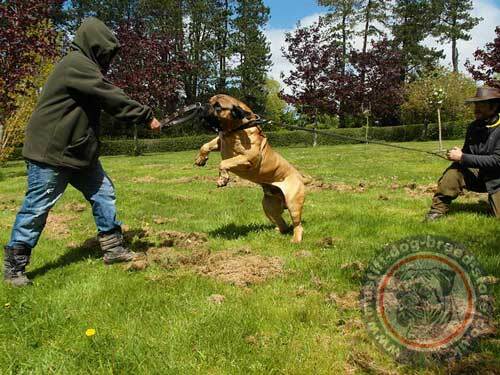 Mastiff trainers should gain a lot of patience and labour for proper training. 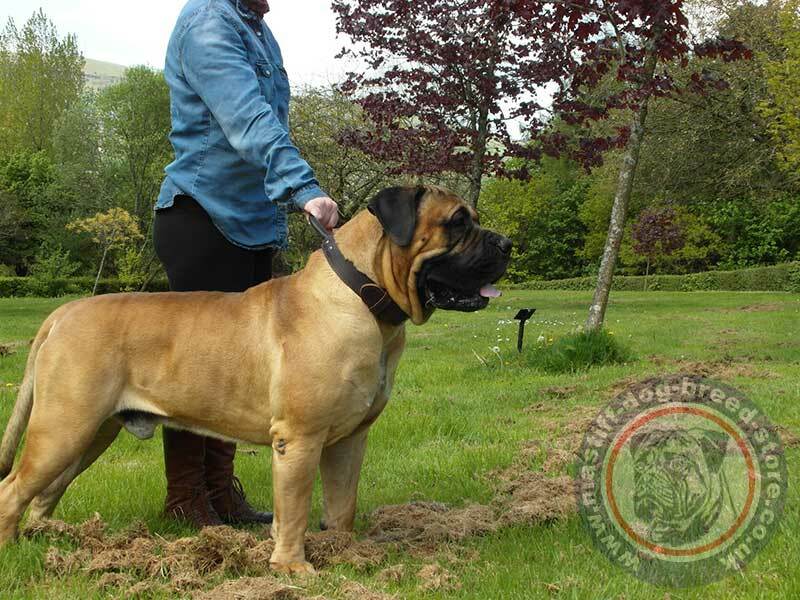 Fortunately, Boerboel mastiff is known as intelligent and obedient dog, loyal to his owner. 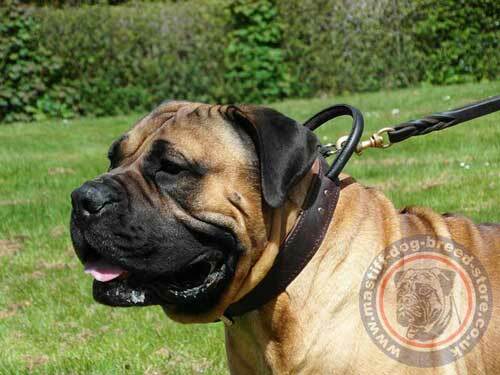 Our strong dog collars will help you to manage the power and temperament of a big Boerboel mastiff. 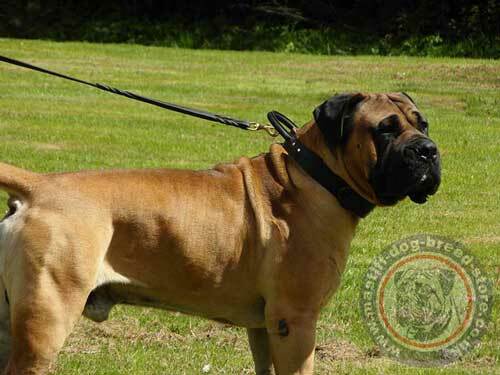 These big dog collars are the choice of professional dog trainers and Boerboel breeders. Big dog collars with handle are recommended for reliable control over large dog breeds and professional Schutzhund training. 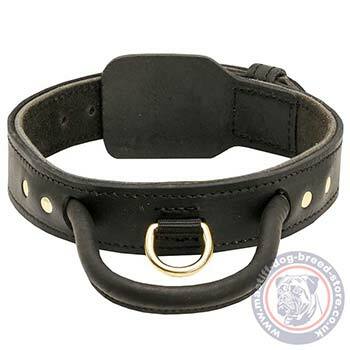 Big dog collars are handmade of quality, thick genuine leather. The edges of the full grain leather piece are well done, waxed and smooth. 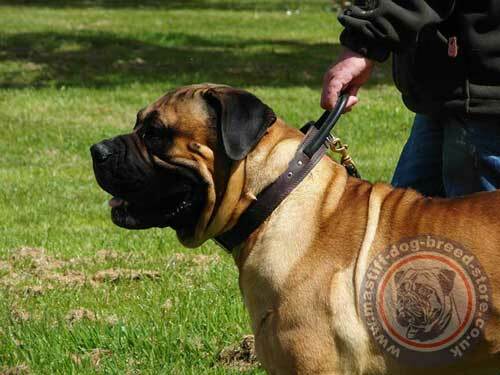 These strong dog collars will serve you for many years. The strong buckle, cast ring and handle are reliably fixed by rivets. All metal details are cast, rustproof and made of brass. Many thanks for the British Boerboel Association for the represented photos of the dogs with our products.